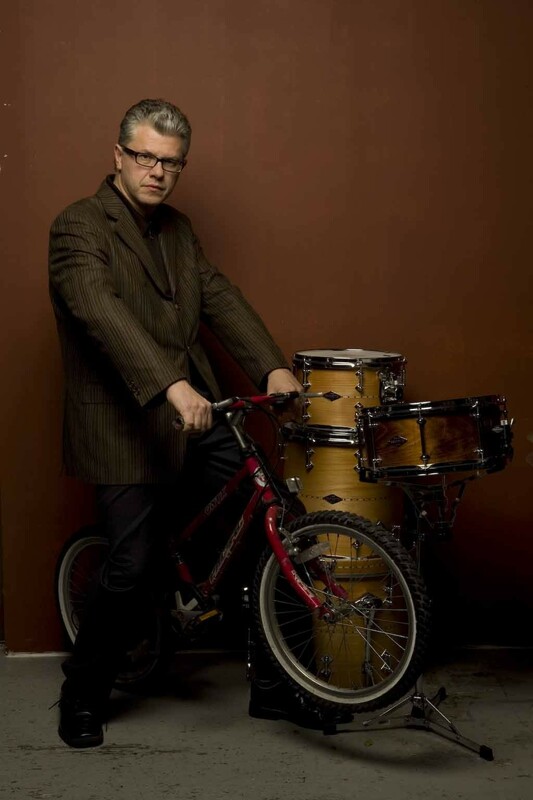 Matt Wilson is a jazz drummer, an in-demand sideman who works in all sorts of contexts. He's also a bandleader with four different working combos including a quartet, Arts and Crafts, whose West Coast tour comes to Arcata Friday night. What does being a bandleader mean, particularly when you're in the drum chair? "I gather the guys, and in any of these bands, I just try to get out of the way," said Wilson, calling from the road. "Leadership can mean different things. For me, it's making decisions, giving people a little bit of direction -- but not too much. Sometimes choosing sets is the biggest part of it -- other than the business aspect -- and I pride myself on making sure the presentation is challenging for the folks in the band and for the listener." He said he doesn't usually make musical decisions from the drum chair. "The music decides that. The song determines how things are going to go. When people are really tapped in, there's not really anybody in charge." With Arts and Crafts, the tapped in crew is keyboardist Gary Versace, trumpeter Terell Stafford and bassist Martin Wind, a tight team. "I have this concept that a jazz band functions because people are able to follow and get out of the way simultaneously," says Wilson. Of course the drummer leads in a way by setting the rhythm and defining dynamics. But, says Wilson, music is about offering and receiving. "I define freedom as offering a sound, then welcoming the sound. It doesn't matter what tune, or what quote/unquote 'style.'" As he prepares to head out with Arts and Crafts, a full year since the band's latest album, An Attitude for Gratitude, he's not worried about coming up with new tunes. "The way I look at it, they're always new," he said. "That's what's really been great about this band, for myself. Everything is always really, really different. ... Last week we played in D.C. and it was music we hadn't played for a long time -- it was like we'd never played it. That's what's great, the surprise is still there. That's trust: offering and receiving." Redwood Jazz Alliance presents Matt Wilson's Arts and Crafts in concert, Friday, Feb. 22, at 8 p.m. in HSU's Fulkerson Recital Hall. Tickets are $15 and are available at the HSU box office, 826-3928. For more on Wilson and RJA go to redwoodjazzalliance.org.